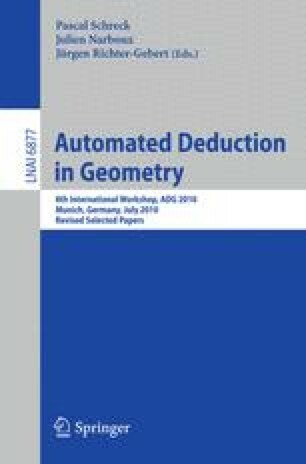 The paper describes proving geometric inequalities in automated way without cell decomposition. Firstly an overview of known methods of proving inequalities is given including the method which is based on reduction of a conclusion polynomial to the canonical form modulo a hypotheses ideal. Then a parametrization method of proving geometric inequalities is introduced. Further a method of proving geometric inequalities which introduces an auxiliary polynomial is described.